If it needs fixing, this tool can tackle the job. 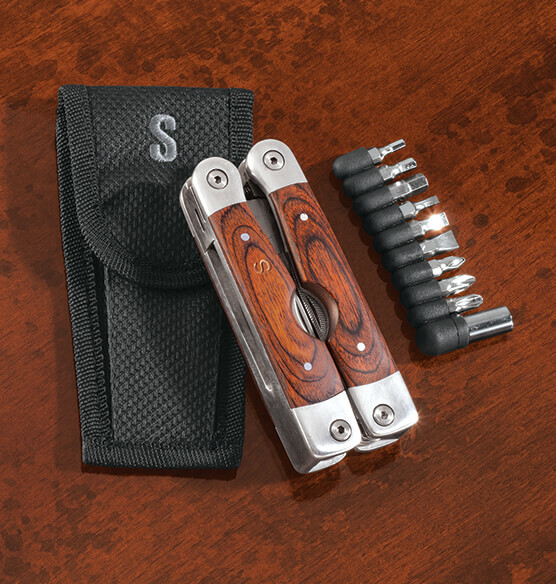 The hinged multi-function tool features gorgeous inlaid wood handles. The handles open to a 7" pair of pliers. 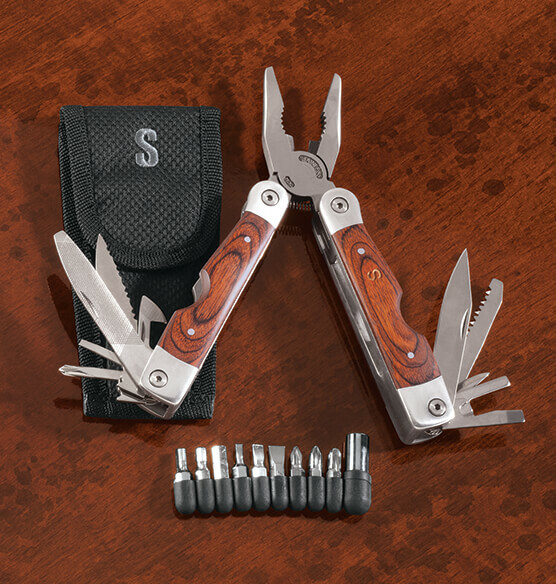 Tucked inside the handles are knife blades, a bottle opener, saw blade, file, screw drivers (Phillips and slotted-head), plus a driver for 9 additional screw bits that are included in a rubberized holder. Comes in a durable black cloth pouch that holds everything neatly together and can be worn on a belt. Great for either the handy or not-so-handy person. Perfect for many jobs around the house. Comes in an attractive black gift box. Personalize with an initial to create a truly unique gift.